Treatment of chronic HCV GT4 with sofobuvir plus daclatasvir with or without ribavarin is efficacious. Patients were classified as either easy-to-treat (n=758) and received SOF/DCV daily or difficult-to-treat (n=188) and received SOF/DCV/RBV daily. Overall, they found that a sustained virological response at 12 weeks (SVR12) post-treatment was achieved in 94% (891/946) of patients. In the easy-to-treat group, 95% (718/758) patients achieved an SVR12 and in the difficult-to-treat group, 92% (173/188) achieved an SVR12. No patient discontinued treatment due to a severe adverse event and the most common adverse events were fatigue, headache, nausea, asthenia, and gastrointestinal trouble. The Polaris Observatory HCV Collaborators. Global prevalence and genotype distribution of hepatitis C virus infection in 2015: a modelling study. Lancet Gastroenterol Hepatol. 2017;2(1):161–76. Gower E, Estes C, Blach S, et al. Global epidemiology and genotype distribution of the hepatitis C virus infection. J Hepatol. 2014;61(1):S45–57. Kandeel A, Genedy M, El-Refai S, et al. The prevalence of hepatitis C virus infection in Egypt 2015: implications for future policy on prevention and treatment. Liver Int. 2017;37(1):45–53. Leroy V, Angus P, Bronowicki JP, et al. Daclatasvir, sofosbuvir, and ribavirin for hepatitis C virus genotype 3 and advanced liver disease: a randomized phase III study (ALLY-3?). Hepatology. 2016;63(5):1430–41. El-Khayat H, Fouad Y, Mohamed HI, et al. Sofosbuvir plus daclatasvir with or without ribavirin in 551 patients with hepatitis C-related cirrhosis, genotype 4. Aliment Pharmacol Ther. 2018;47:674–9. Abdel-Moneim A, Aboud A, Abdel-Gabbar M, et al. A sofosbuvir-based quadruple regimen is highly effective in HCV type 4-infected Egyptian patients with DAA treatment failure. J Hepatol. 2018;68(6):217–9. Feld JJ, Jacobson IM, Sulkowski MS, et al. 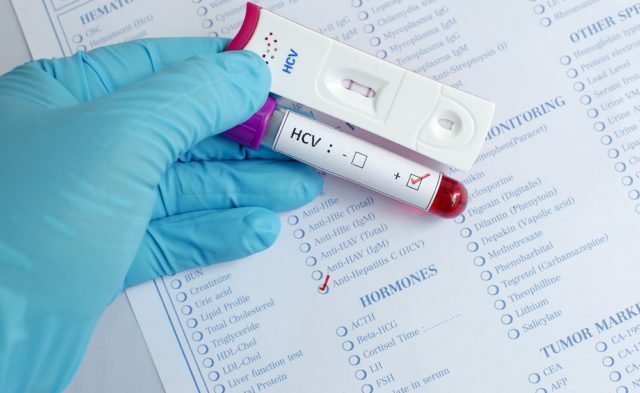 Ribavirin revisited in the era of direct-acting antiviral therapy for hepatitis C virus infection. Liver Int. 2017;37(1):5–18.